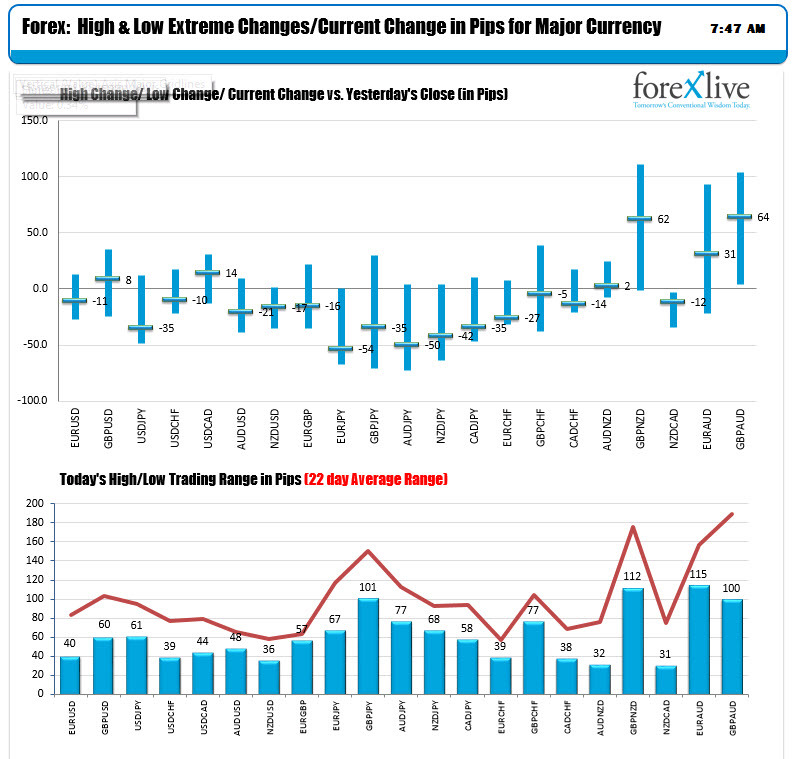 A look at the major currencies is showing the JPY is the strongest as North American traders enter,while the AUD and NZD are the weakest. China shrinking export data (biggest decline 2 years) has traders thinking of slower global growth. The US is starting the 24th day (a record) of the shutdown. That is hurting the risk currencies like the AUD and NZD. The JPY is attracting «flight to safety bids» into the JPY — and gold too). 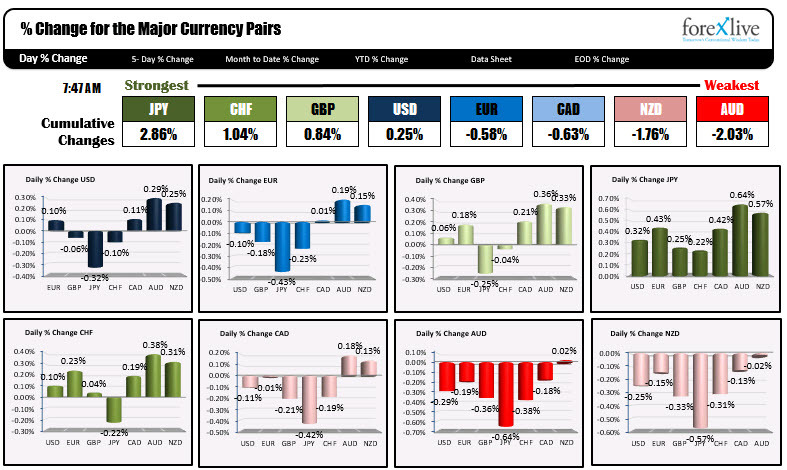 The USD is mixed at the start or the week for NA traders with gains vs the EUR, CAD, AUD and NZD and declines vs the JPY, CHF and GBP. The changes and ranges are showing less than the 22 day average ranges for the major pairs and crosses. So trading is a bit slow. The EURUSD only has a 40 pip range on the day (22 day average is 82). The AUDUSD and NZDUSD have spent most of the day in the red, but they are off the lows as well. JPY crosses are off the lows as well. In the European market, yields are also lower with the exception of Italy.